Did you know that on your doorstep you have a professional hair and beauty salon and spa? 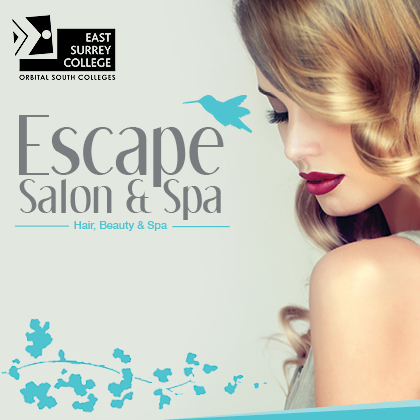 The Escape Salon & Spa is a training salon located at East Surrey College where you can book a variety of hair, beauty and spa treatments at reduced salon rates. You can relax in the knowledge that the students are supported by experienced tutors and every care is taken to ensure a professional and enjoyable experience. With treatments at such good value, treat yourself without the guilt!